With the aim to treat the leading cause of death among newborn babies, the Department of Health (DOH) and the Philippine Health Insurance Corporation (PhilHealth) has launched new benefit packages for premature and small newborns. Health Secretary Paulyn Jean Rosell-Ubial said the launch of benefits package would enable families to avail themselves of the necessary care for babies suffering from preterm and low birth weight complications. The Philhealth benefit package for premature and small babies will be available by yearend in selected contracted government and private tertiary health facilities by all PhilHealth members. The packages will cover a broad range of interventions from management of preterm labor to addressing severe complications of prematurity and low birth weight babies. 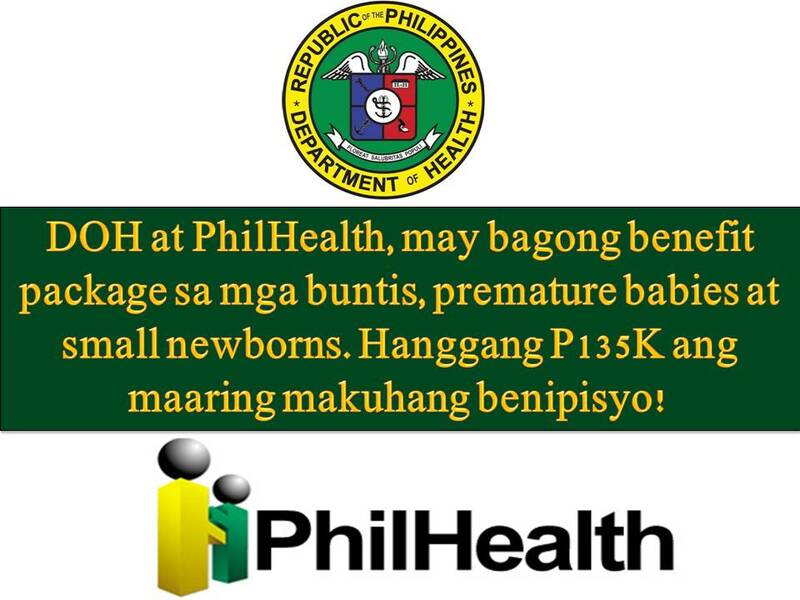 PhilHealth together with DOH and UNICEF launched the Z Benefits for premature and small new born babies. Included here are financial and medical assistance for pregnant women, pre-term and small babies. How to avail the package? More than 300,000 premature and small newborns every year will be the target of benefit packages. Globally, the complication of preterm birth and low birth weight are top killers of newborn babies. In the Philippines, almost half of children who die before their fifth birthday are newborns. Nearly 60 percent of this died because of complications due to prematurity and low birth weight. Estimated three-quarters of these preterm babies could survive if they had access to cost-effective interventions. But, because of critical socio-economic disparities, these interventions remain inaccessible to many especially the poor.